Are tripods allowed in Kyoto’s temple? I am planning to go to Kyoto next month for Koyo. 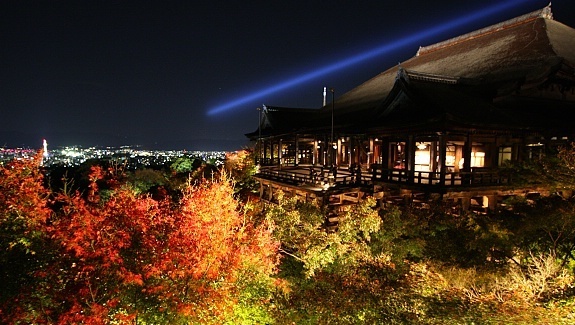 I have seen on several trip reports that some of you are uses to going to the light-up events in the evenning, at Kiyomizudera for example. Could anyone let me know if tripods are allowed for those events please? Anyway, many thanks in advance for your help. No, most temples have a no-tripod policy, especially during light-up events. Some even have an explicit no-monopod policy, as well. As mentioned tripods are usually prohibited, with the crowds of people this is very understandable. However, you may be able to use a Gorillapod (or cheaper equivalent) in certain areas. Obviously be careful what you attach it to/wrap it around, and be conscious of other visitors.